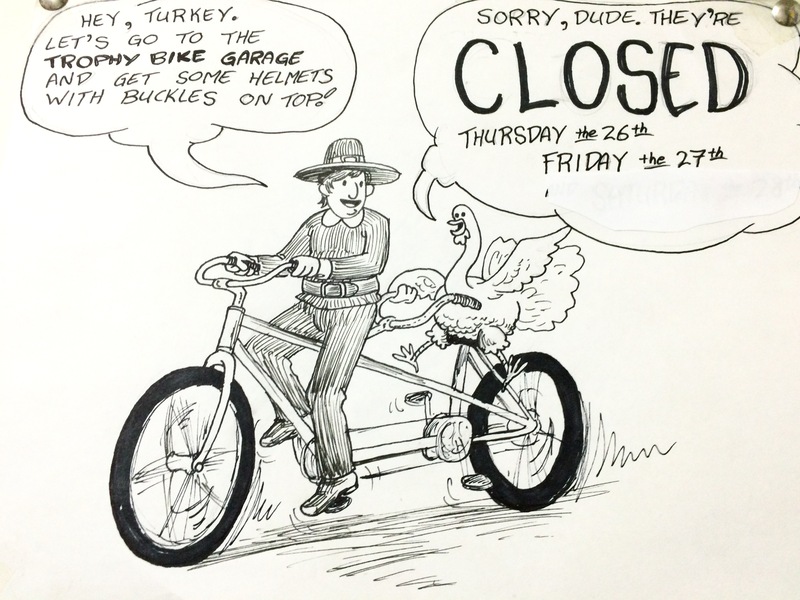 Do please note that we will be closed for Thanksgiving and also for the artificial shopping frenzy session that some call Black Friday. We think you should refrain from shopping on those days; if enough of us do so, the big boxes will let their staff enjoy the holiday with their families. Then come to us on Saturday and just let that debit card rip! IN OTHER NEWS: Trophy stalwarts Bob Burdalski and Nick Manta will return to Pittsburgh on Saturday for their second crack at THE DIRTY DOZEN, a day-long adventure that tackles 12 of that city’s steepest hills. The DD regulations note that if a rider put a foot down on any hill, he or she must go back down and start again… Wish the fellows luck! 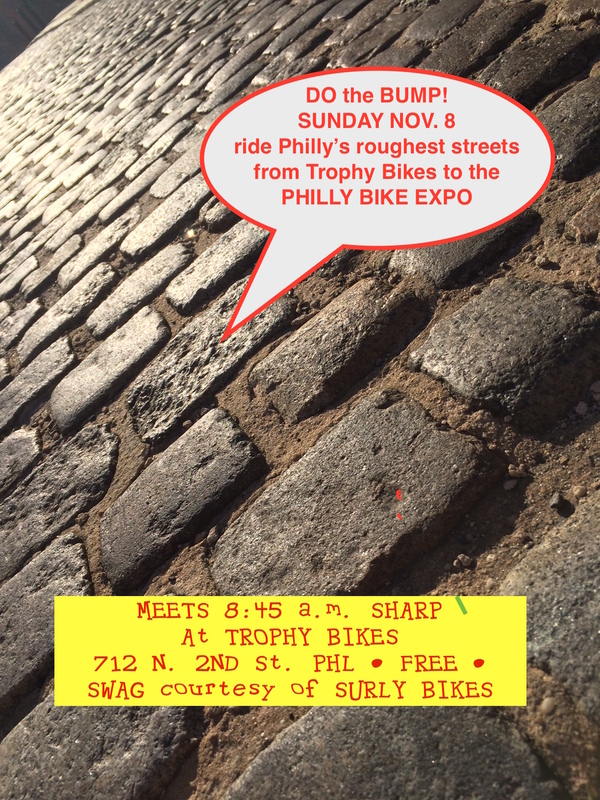 SAVE THE DATE: Trophy Bikes would like to see you at our HOLIDAY OPEN HOUSE on Thursday, Dec. 17th. We will have adult beverages, salty snacks and more. You can even pick up some warm socks for the ride home if you like! Starts around 5 p.m. and goes till a bit after our usual closing time of 7 p.m.
GOT A BROMPTON? GET ANOTHER! 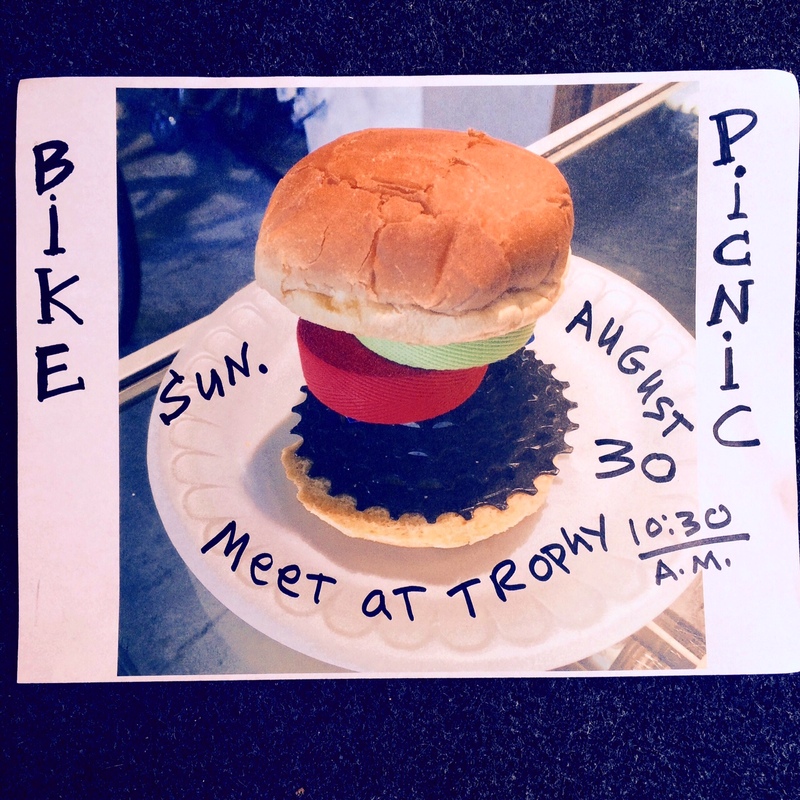 : Announcing an unusual holiday promo at Trophy Bikes. If you have a Brompton, you already know how good these British-made folders are. You also know that they bear a noteworthy price tag. From now up until the start of Christmas Week, we can help a bit with that part. Bring your Brompton bike to Trophy Bikes and we’ll take $101 off the cost of any Bespoke Brompton special order. (fine print: cannot be combined with any other discounts; must be paid in full at time of order, all sales final) This offer good ONLY through Dec. 22 . Oh, and while your Brompton is in the shop, we’ll check it over and let you know of any service needs.